Earth mama (Venus in Taurus) and the social butterfly (Mars in Gemini) are a volatile union of earth and air. When this couple joins ranks, they bring together stillness and motion in a unique pairing that has unlimited possibility. If they can get beyond the initial irritation at their differences, they will probably discover they have much to offer each other. Though others may not see what they have in common, this couple finds the edges that separate them to be just as fascinating as their (few) similarities. Venus in Taurus craves stability and comfort in love. She enjoys sharing her sensual approach to life with a partner, initiating him into the joys of the physical realm. She can also be stubborn and possessive in love, finding it hard to shift gears. However, once she does decide to make changes, she can move steadily and confidently in new directions. This Venus enjoys getting to know her mate slowly and over time, rather than rushing into anything recklessly. She is at her best when she has time to savor a new relationship, rather than experiencing everything all at once. Mars in Gemini is most turned on by intelligence and movement in a mate. 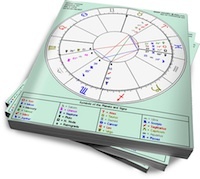 Flirty and funny, Mars placed in the sign of the Twins can impress almost anyone with his verbal acrobatics. This Mars is stimulated by a love interest who can give as good as she gets when it comes to witty interchanges and turns of phrase. Bored when things get too slow, Mars in Gemini may move on to the next best thing if his attention is not continually captivated by something new. Venus in Taurus helps this Mars to slow down and get grounded, introducing him to a new awareness of his body and the world around him. Mars in Gemini excites Venus in Taurus, stimulating her with new ideas and possibilities. If both are self-aware and appreciative of the differences their partner has to offer, they can form a relationship that is both diverse and satisfying.